Truth be told, journalism would be pretty dull, and ultimately meaningless, if there were no context. And CBC's programming wouldn't be nearly as interesting if it didn't contain analysis. We wouldn't produce programs like The Current or Power and Politics if all we did was report the facts as they are presented to us. Reporting is not just about reciting facts. Knowing that something happened is only part of the story. Knowing why it happened and what factors contributed to its happening is really what adds meaning to reporting. I don't think that many of you would be satisfied if our political reporters simply listed the contents of a government news release, or one from an opposition party, for that matter. You'd expect us to provide some context and analysis. Why are they announcing (or denouncing) this initiative now? What have they done or said about this issue in the past? How credible are the claims being made? Depending on your own views of the politicians and parties in question, you may not like it when we ask questions like those. But it's our job as journalists to hold decision-makers to account, and to explain to our audience, as best we can, the significance of the story. 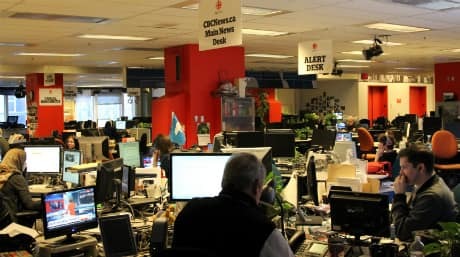 The challenge for all of us at CBC News is defining the line between analysis and opinion, and who gets to express those views. Our hosts and reporters don't have free rein to say what they want about the issues of the day. Our Journalistic Policy Guide makes it clear that we're guided by the principle of impartiality, and that CBC journalists don't express their own personal opinion because it affects the perception of impartiality and could affect an open and honest exploration of an issue. The key word here is "personal". An observation based on the facts of the issue, and years of experience covering a beat, which I would describe as analysis, isn't the same as a view that comes out of left field without supporting arguments, or in other words, opinion. Our senior reporters bring that experience to what they do. The backgrounder pieces they produce for The National, The World at Six, and online is where we showcase that experience. It is an informed judgment call every time we decide to provide analysis. The decision is based on the journalist's grasp of the facts and ability to add perspective. Most times that comes with years of experience and a certain stature in the industry. But not always. And like everything else, it is an active conversation between the reporter, the producer and the people responsible for vetting the content. Sometimes it is a vigorous debate. In the end, we like to think that the result is adding value to the discussion. If in doing the serious work of journalism-digging, reporting, verification, mastering a beat-you develop a view, expressing that view does not diminish your authority. It may even add to it. The View from Nowhere doesn't know from this. It also encourages journalists to develop bad habits. Like: criticism from both sides is a sign that you're doing something right, when you could be doing everything wrong. I don't think Rosen or any other credible media critic is making a case for more polarized and opinionated scream fests, the likes of which we have seen for years in the States and more recently in Canada. And neither am I. Instead I think there is lots of room in the media landscape for reasoned, intelligent, informed and educated debate about current events. The opinions expressed need to be backed up with a body of experience built on research and facts. Otherwise they are rarely worth the time taken to express them. I say that even though I know full well that some people will never be convinced of CBC's impartiality. Ironically, it's often commentators from news organizations that make little effort to hide their political views who accuse us of taking sides. Once again, the growth of social media adds even more complexity to this issue. Everyone who has an opinion, including CBC staff, is now able to capture an audience and express that opinion. Just because it is a personal status update or contains a hash-tag, doesn't give you a pass. If you are a journalist and make a living as one, you are still obligated to draw a line between opinion and analysis. Even in 140 characters.